I hadn’t heard this: “Newsweeklies Plan Special Steve Jobs Coverage In rare move, ‘Time’ stops presses“. From an upstart outsider to the most profitable cellphone manufacturer. From a PC also-ran to the laptop of the future. In less than two years, revitalizing an entire device category and disrupting just about every media business you can name. Not only becoming the world’s most valuable company, but seeing the stock continue to rise even after the exit of the company’s visionary founder. For those of us who lived through the lean years of Apple, being around to witness all this is a bit strange. It’s as if we had been diligently preaching the benefits of a meat-free diet for years, only to wake up one morning and discover that everyone we knew had gone vegan overnight. Dealing with success is certainly better than the alternative, but some may mourn the passing of the special minority status we enjoyed as the Mac Elite. Now we have to figure out how to avoid saying “Yes, we told you so!” every five minutes. I like the image of everyone I know going vegan overnight, that’s exactly what it feels like. Ten years ago today Apple opened its first two Apple Stores – the first in Tysons Corner, Virginia and the second in my former hometown mall, the Glendale, California Glendale Galleria. 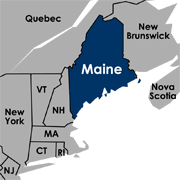 My once and current local mall, the Maine Mall, opened their own Apple Store in September of 2008. I don’t know if I buy that this is true, but it makes a great story: “iPad 2: Wife Says No, but Apple Says Yes“. We’re guessing a free iPad satisfied any objection the customer’s wife might have had. So this is terribly geeky, but indulge me. I’ve come to realize over the last two months that the whole point of having an Apple iPhone is to amass applications, or “apps” in the colloquial. One doesn’t make “apps”, though, that’s too tricky. To make an “app” one needs to submit it through the Apple Store and their Byzantine application process. That takes time, money, and a strict review process. The alternative is that one can simply make a webpage and have people add a bookmark to it to their home screen. As you know, a few weeks ago I made this website mobile friendly. But the logo to the bookmark was a snapshot of the webpage, which is, quite frankly, ugly. So tonight I discovered how to make the icon pretty. Oh boy I hope the Wall Street Journal is correct on this one: “Less-Pricey iPhone in the Works“. Not to be too much Apple, but apparently one of their execs made a little mistake this week. He (or she) brought a prototype iPad 2 … to a room full of reporters. 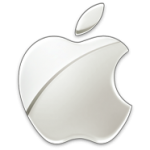 Check out: “Unreleased Apple iPad spotted at news event“. A Reuters eyewitness saw what appeared to be a working model of the next iPad with a front-facing camera at the top edge of the glass screen at a press conference to mark the debut of News Corp’s Daily online paper in New York on Wednesday. A source with knowledge of the device confirmed its existence, adding that the final release model could have other features. News Corp and Apple declined to comment. The next version of Apple’s popular tablet computer is expected to be announced in the next few months. So was this a shrewd plan, or a total goof? This is fascinating – 2% of all web browsing in the world is done on iPhones or iPads! Check out: “Apple’s iOS Breaks 2% of All Browsing on The Web, Over 5% in U.K./Australia“. Not that it’s set in stone, by any means, but Apple was just granted patent for a new glove system, as reported by Apple patent watchdog patentlyapple: “Apple Wins Patent for a High Tactility (Magic) Glove System“. 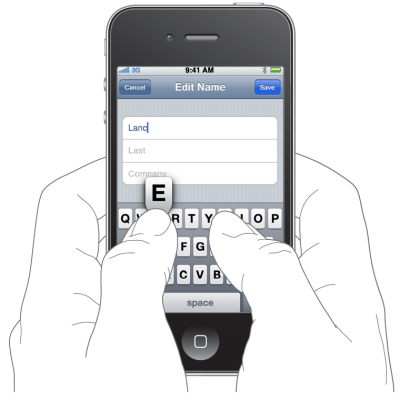 I know with my new iPhone the “tactile feedback” through even light gloves “impedes proper operation”. I’ll be psyched if this becomes reality. 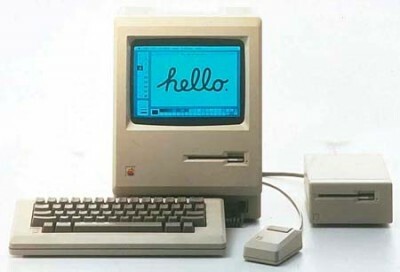 Today’s the twenty-fifth anniversary of the Macintosh Plus – the first Mac my family ever owned. 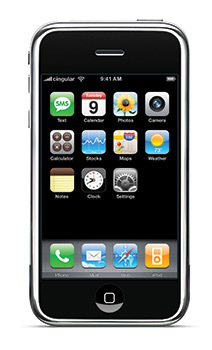 Not to make this “all Apple, all of the time”, but in case you missed it today, Verizon is coming out with the iPhone 4 on February 10. 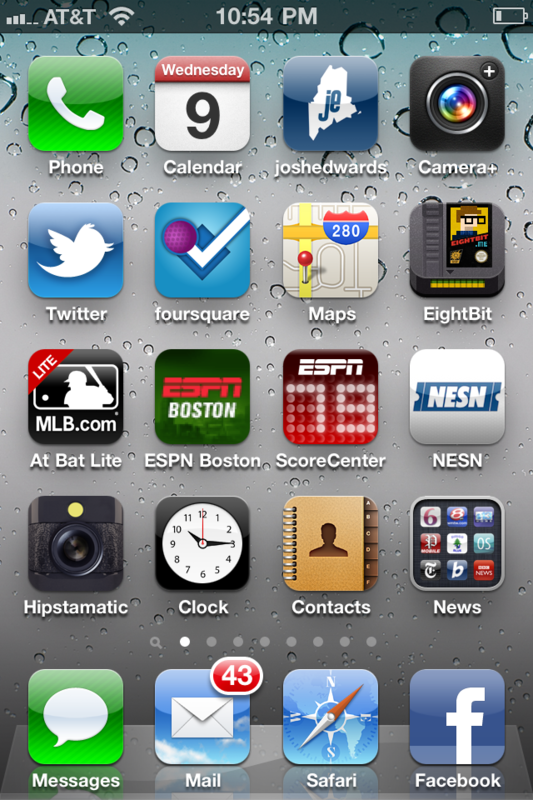 Sunday was the tenth anniversary of iTunes, and apparently also the fourth anniversary of Apple’s iPhone! I missed this yesterday but it’s worth a mention – Apple’s iTunes music player software was released ten years ago, on January 9, 2001. We got each other iPhones for Christmas. Really Apple? 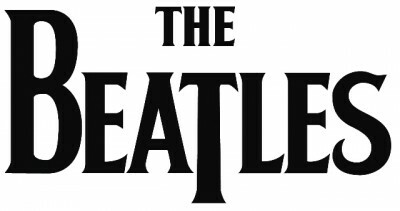 The big reveal today was just The Beatles coming to iTunes? I mean, don’t get me wrong, they’re nice and all, but no “one more thing”? That’s it? 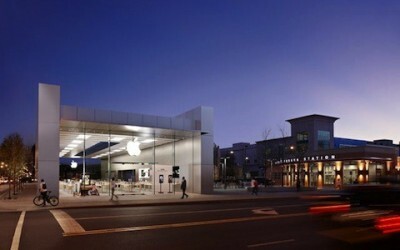 Check these out: “Photos from the opening of the Chicago Lincoln Park Apple Store“. It’s Apple’s newest “Significant Store”, and it’s on the site of a former gas station. The other day I mentioned that Apple is now the third largest computer seller in the States. Then I saw this: “Apple Is No. 1 Computer Seller – If You Count iPads“. I’m sure neither HP or Dell are really shaking in their boots, but still, it’s impressive from last year’s 7-something %.